2019 is all about letting the light into our homes and providing nourishing and energising environments. 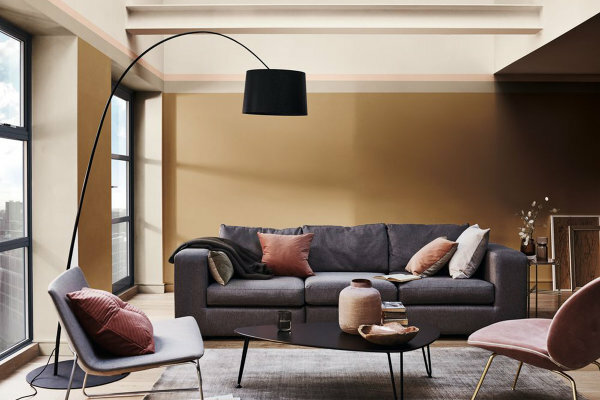 That’s why AkzoNobel’s colour of the year is Spiced Honey – a warm, sophisticated and elegant shade that captures the current trends towards a renewed sense of energy and purpose. The colour reflects a desire to engage with others, to make things better and ‘be the change’ – to let the light in. With its warm amber tone, Spiced Honey can be calming and nourishing, or more stimulating and energising, depending on the light and colours surrounding it - perfectly capturing the theme of 2019. Spiced honey and its four supporting palettes will inspire customers to create spaces that reflect this new mood of optimism.